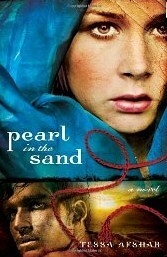 Mom Loves 2 Read: Dont forget to enter the giveaway! 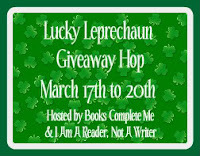 Dont forget about the "Lucky Leprachaun Giveaway Hop"
then click on the picture at right, and you can see a list of over 200 other blogs doing giveways at the same time! Enter as many or as few as you like! March 17th through the 20th! Can a Canaanite harlot who has made her livelihood by looking desireable to men, make a fitting wife for one of the leaders of Isreal? Shockingly, the Bible's answer is yes. At the age of fifteen Rahab is forced into prostitution by her beloved father. In her years as a courtesan, she learns to mistrust men and hate herself. Into the emotional turmoil of her world walks Salmone, a respected leader of Judah. Through the tribulations of a stormy relationship, Rahab and Salmone learn the true source of one another's worth in God and find healing from fear and rejection. * See the rest of my review below. . . So.... sign up below and enter to win your own copy, then you can read for yourself! Contest will begin on March 14th, and end on March 20th (11:59pm). Winner will be chosen through Random.org. They will have 48 hours to respond or another winner will be chosen. 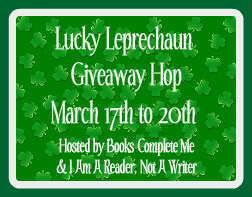 Thanks for the giveaway and for participating in this blog hop! I already follow via GFC (Bornajhawk). Following you back! Great blog. I entered your giveaway too! Facebook (Cindi Hoppes), Twitter (cmh512) and I visited the site of Tessa Afshar.com. I was referred by Lexie(shakespeareanlover1215@yahoo.com). Facebook (Stacie Amelotte), Twitter (staciebromley) and I visited the site of Tessa Afshar.com.